This blog will accept press samples from PR and cosmetics companies for consideration of review or mention. If you are interested in sending samples for possible review, please email me at crueltyfreeartist@outlook.com. I cannot guarantee a review, nor can I guarantee any reviews will be entirely positive. If a review is seen as negative, I do my best to ensure that my reasoning is explained, that it is known to be my experience, and that the same results may not be true for all individuals. 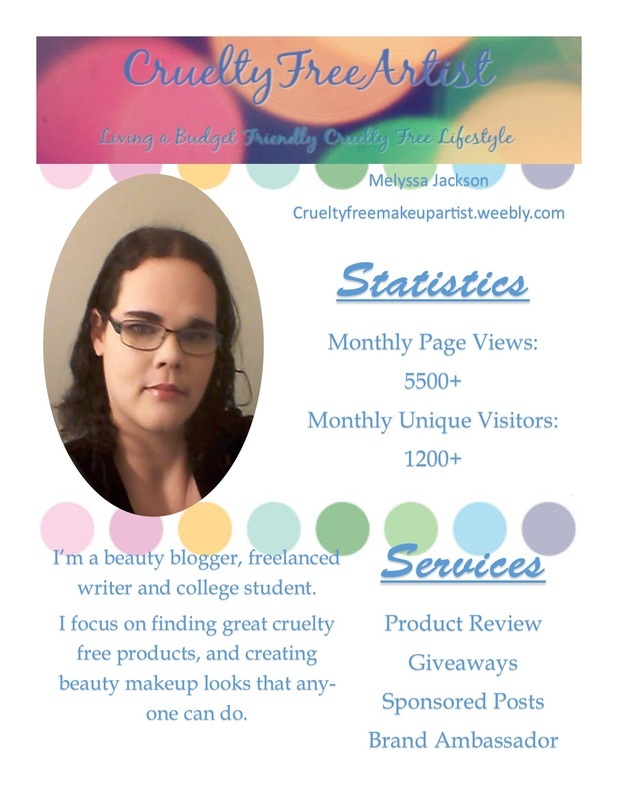 If you are interested in submitting products for giveaway purposes, please email me at crueltyfreeartist@outlook.com. I am willing to work with companies that are 100% cruelty-free! Obviously, my blog is all about cruelty-free products. Please email me at crueltyfreeartist@outlook.com if you are interested, or have any questions.